Viktor was an Austrian psychiatrist who lived between 1905 and 1997. He was a compelling speaker. This is a much-watched video of him giving a lecture in 1972. 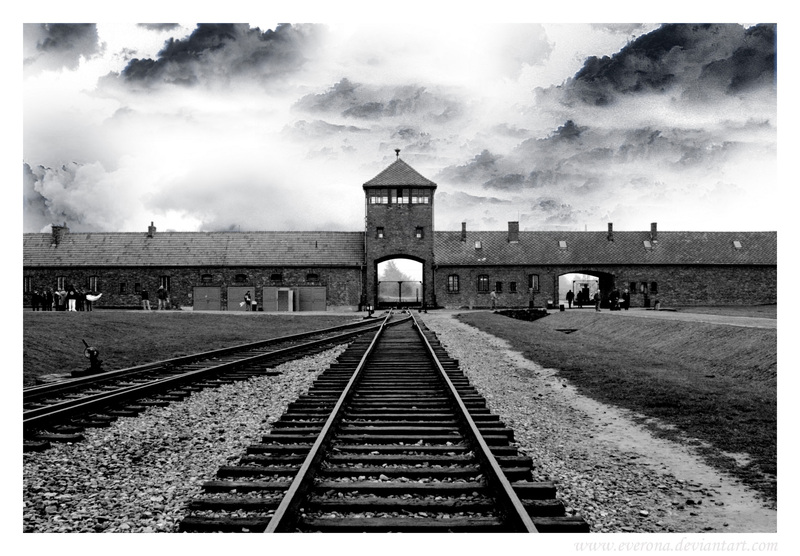 Chance played an enormous part in the death camps, of course, but each person faced choices each day. Viktor describes how it was vital to look alert and ready to work. New arrivals found the ordeal began when the railway trucks drew into the camp sidings. Recalling his own experience, Viktor describes joining a long line which shuffled towards an SS Officer. The Officer looked at each person and casually pointed to the left or the right. Ten percent were sent to the right and lived. Ninety percent were sent to the left and the ‘showers’. Viktor survived the Nazi camps, emigrated to America and practised as a psychiatrist. Working with suicidal people, he recognised the similarity between them and prisoners in the death camps. “We found, in fact, that for the one it was his child whom he adored and who was awaiting for him in a foreign country. Camp life showed that people do have a choice of action, said Viktor, and prisoners who lost faith in the future were doomed. 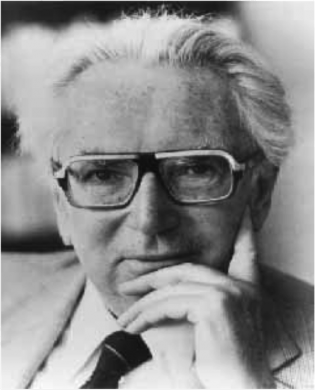 The definitive place to learn about his work is The Viktor Frankl Institute (see link below), but here is a brief overview of his biography. Viktor was born into a Jewish family in Vienna, the cradle of psychoanalysis. During his college years he showed a strong interest in psychology – going on to study medicine at the University of Vienna. Specialising in neurology and psychiatry, he spent considerable time studying depression and suicide. Viktor was 23 when he set-up cost-free counselling centres for students receiving exam results. These were spread across several cities and provided valuable support to students, some of whom were at risk of suicide. Even before this time, however, he had begun using the term ‘Logotherapy’ – Logos being the Greek word for ‘meaning’. During the 1920s and 30s he mixed with luminaries such as Sigmund Freud, Alfred Adler and Wilhelm Reich, but he was already developing his own approach to working with patients. Viktor became fascinated with each individual’s search to live a meaningful life. His ideas were put to the test when, in 1933, he headed a psychiatric ward for suicidal women. The more we strive for ‘happiness’, the more it eludes us. We need to create a meaning for our lives – a vocation to follow, a person to help, a deed to do, a legacy to leave. Happiness is often a by-product of doing our best during our time on Earth. Frankl started his own clinical practice in Vienna in 1937 and, one year later, the Nazi’s invaded Austria. In 1940 he headed the neurological department of Rothschild Hospital, the only hospital treating Jews. He also began working on the manuscript that would later be published as The Doctor and the Soul. Despite having a visa to enter the United States, Frankl chose to stay in Austria to care for his elderly parents. He married his first wife, Tilly Grosser, in 1941, and the Nazi’s forced them to have their child aborted. During the next years most of his family were deported to concentration camps where many, including his mother, father and wife, were murdered. 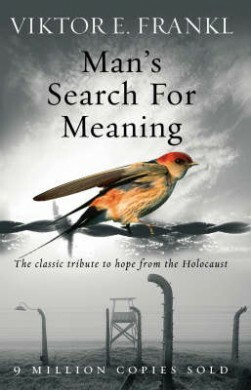 Frankl himself was imprisoned in several camps, one of which was Auschwitz. Liberated by U.S. troops, he returned to Vienna to learn of the deaths of his loved ones. Throwing himself into his work, Frankl became director of the Vienna Neurological Policlinic, a position he held for 25 years. He reconstructed his book The Doctor and the Soul, the manuscript of which had been destroyed in the camps. He also dictated – within the space of 9 days – Man’s Search for Meaning, which sold over 9 million copies. Frankl married his second wife, Eleonore, and they had a daughter, Gabriele. He spent the rest of his life travelling the world, teaching about Logotherapy and pursuing his chosen challenges. He wrote more than 30 books, was an enthusiastic mountain climber and gained his pilot’s licence at the age of 67. Viktor died in 1997. Viktor’s books pass-on the wisdom he gained from a life of service and suffering. Mans Search for Meaning, his most popular book, is written in two different styles. The first part is highly personal and narrates his journey through the death camps. The second part provides a more philosophical introduction to Logotherapy. Let’s explore some of the key principles that run through his philosophy. People can choose their attitude. People want to find and follow their personal sense of meaning. He wrote: “Everyone has his own specific vocation or mission in life; everyone must carry out a concrete assignment that demands fulfilment. Frankl experienced this drive himself after losing the manuscript that summarised his life’s work. He had sewn it into his coat lining, but lost it when transferred to Auschwitz. During the terror he kept himself sane by spending nights reconstructing the book in his head, then on pieces of stolen paper. People find ‘happiness’ as a by-product of following their meaning. He saw that people were striving to achieve happiness through self-indulgence or gathering ‘outer’ things – such as possessions or status. “Again and again I admonish my students both in America and Europe: Don’t aim at success – the more you aim at it and make it a target, the more you are going to miss it. “For success, like happiness, cannot be pursued; it must ensue, and it only does so as the unintended side-effect of one’s personal dedication to a cause greater than oneself or as the by-product of one’s surrender to a person other than oneself. “Happiness must happen, and the same holds for success: you have to let it happen by not caring about it. What has been the effect of his contribution? 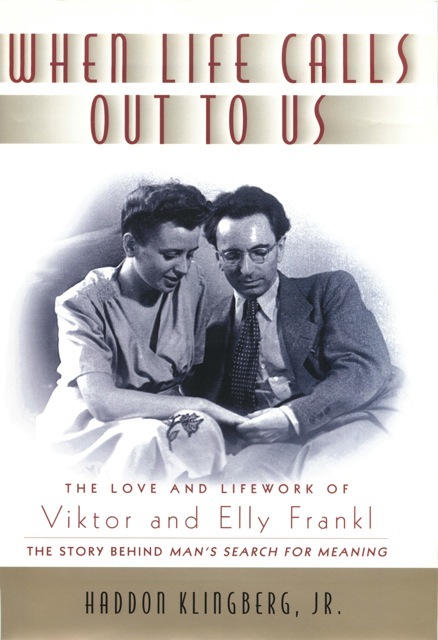 During his lifetime Frankl obviously translated his own philosophy into clinical practice. Beginning by providing counselling centres for students, he then spent many decades working with depressed and suicidal patients. Logotherapy continues to be practiced across the world. The main centre of gravity is in Central Europe – particularly in Austria and Germany – whilst also being popular in South and North America. Frankl’s greatest contribution, however, may be in spreading the concepts of ‘choice’ and pursuing one’s mission. Virtually every self-respecting book on ‘purpose’ and ‘leaving a legacy’ pays homage to his influence. Stephen Covey, for example, mentions Frankl as his ‘intellectual mentor’. You may also want to read a superb book about Viktor and his second wife, Elly. When Life Calls Out To Us is written by Haddon Klingberg. This provides an insight into their life together and how they embodied their ideas in practice. Frankl always got to the heart of the matter. Speaking towards the end of his life, he said that, for humanity to survive, we needed to coalesce around a common purpose. Faced by interviewers who asked what people should do when faced by the absence of faith, economic crises or global challenges, he went back to his famous saying. Man is not free from his conditions, but he is free to take a stand towards his conditions. We can choose our attitude and, if we wish, pass-on a better world to future generations.